Chieriel Desamito, a graduate student in the Sustainable Agriculture, Food, & Natural Resources program, took an important step in his future career by presenting his research, networking with others in the field, and learning about current trends and issues at the Soil Science Society of America conference held Jan. 6–9 in San Diego. 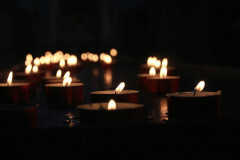 Following the terrorist mass shootings that took place at mosques in Christchurch, New Zealand, on March 15, UOG and the Interfaith Community of Guam will host a multi-religious prayer and chant vigil. 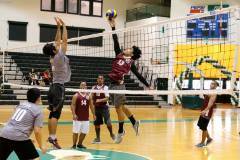 The University of Guam Men's Volleyball Club Team will take on the Guam Community College Men's Volleyball Club in the "College World Series of Volleyball - UOG vs. GCC" in April at the UOG Calvo Field House. 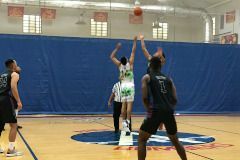 The University of Guam Men's Basketball Team suffered two more losses in the Andersen Air Force Base March Madness Tournament at the Coral Reef Recreation Center on the Andersen AFB. 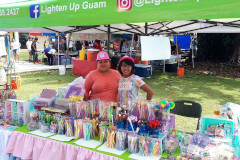 This Feb. 28, 2019, article in the Pacific Daily News tells the story of University of Guam student Keandra McDonald on opening her business, Lighten Up!, in the Agana Shopping Center. 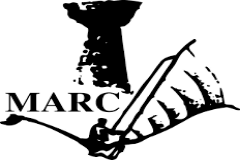 Hagåtña, GU, March 17, 2019 - The Richard Flores Taitano Micronesian Area Research Center (MARC) at the University of Guam announces its thirteenth installment in its seminar series, a public lecture by over 50 students of the Chamorro Studies Program on Tuesday, March 19, 2019 beginning at 6:30 p.m. at the College of Liberal Arts & Social Sciences (CLASS) Lecture Hall on the UOG campus. 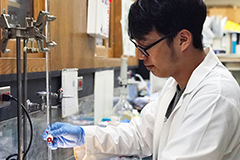 Twenty-four students from six high schools competed in the 2019 University of Guam High School Chemistry Titration Competition hosted by the Chemistry Program of UOG's College of Natural & Applied Sciences on Charter Day, March 12. 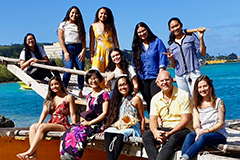 Nine students from the University of Guam depart today for an immersive 12-day learning experience in Bali. The students are senior social work, sociology, philosophy, and education majors, and the program -- the Bali Field School -- is a component of their semester-long Community Development course in the Sociology Program.